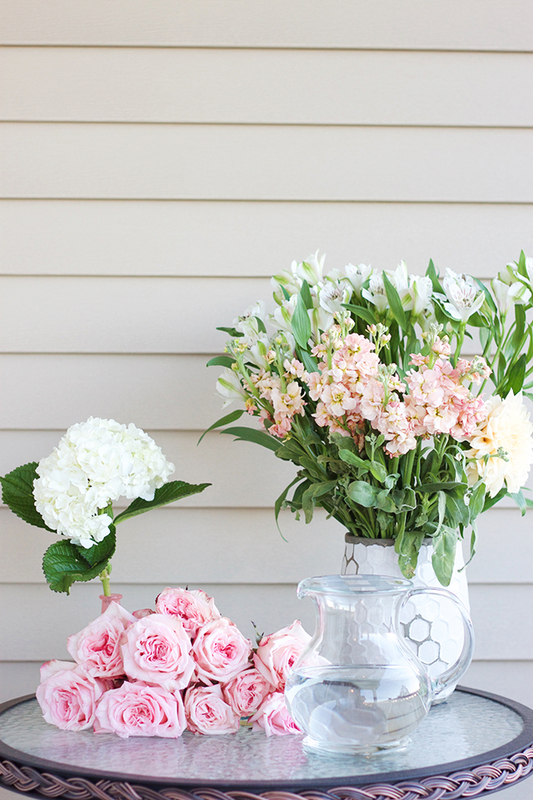 In honor of Spring, I'm sharing a floral recipe today. Flowers: garden roses, alstroemeria, stalk. 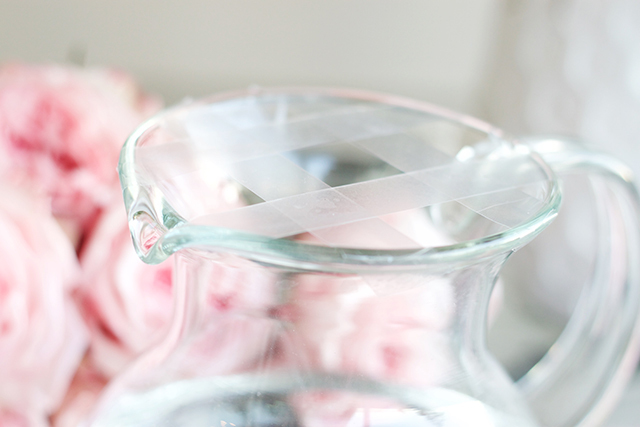 Step one: tape your vase in a grid shape. 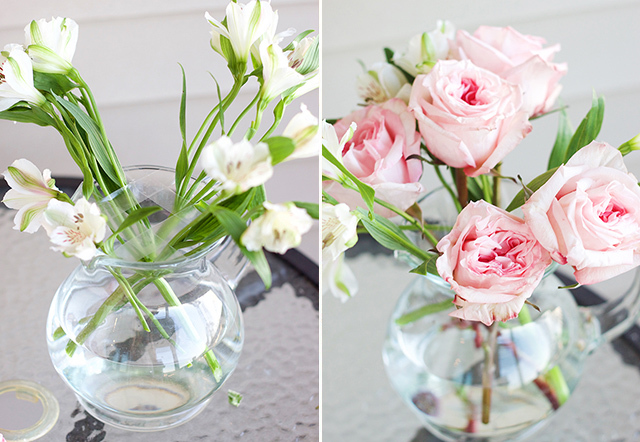 This will offer support to your flowers and keep them from falling over in the vase. Step two: start with some greenery blooms. I love alstroemeria! Step three: fill in with your feature floral. 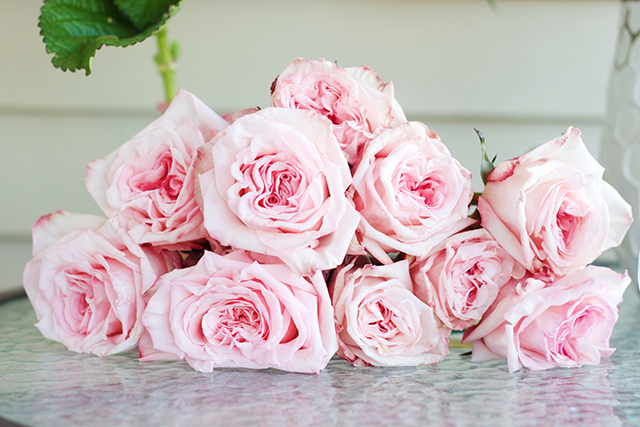 In this case, it's my garden roses. Step four: layer with your accent floral-- the stalk was mine! I picked up all of these flowers at my local wholesale flower market! It was fun to create something with such pretty pinks. 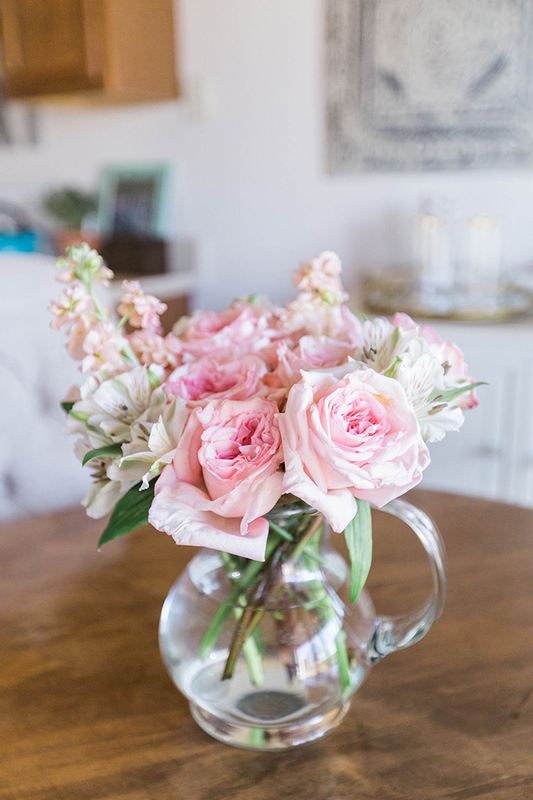 Flowers always bring me so much joy-- the beauty of the intricate petals, the colors, the design of each flower being entirely different different from one another. Just gets me! Let's all go grab a bouquet of flowers to celebrate the first week of Spring!